Why can’t I get a response on stimulation? We encapsulated Ag/AgCl reference electrode in stainless steel shield. Now it can be easily grounded. 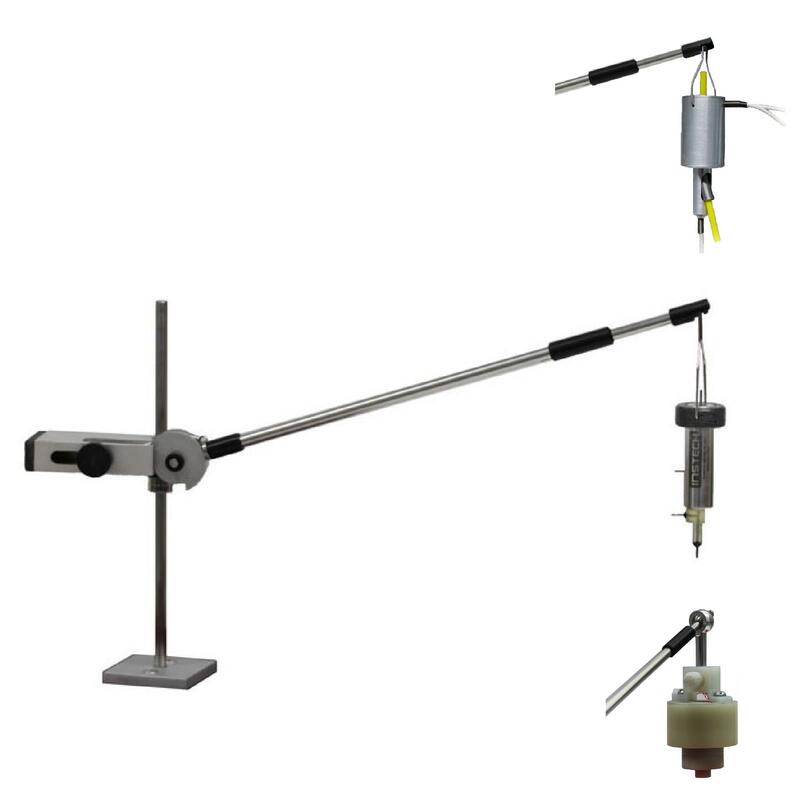 Therefore even with the longest reference electrodes (we manufacture electrodes up to 20 cm in length), the level of noise will be reduced. The shield can be also used as an auxiliary electrode. 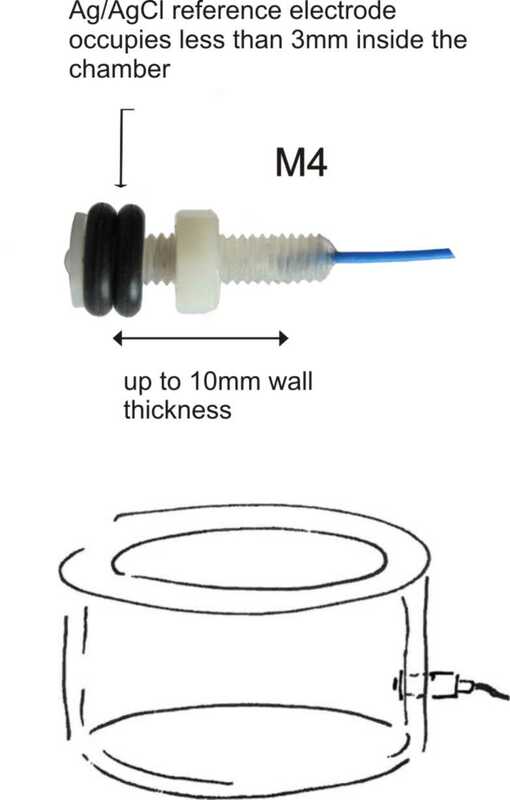 This Ag/AgCl references electrode can be installed through the wall or bottom of the experimental chamber (e.g. for slice electrophysiology) saving space above the chamber for multiple microelectrodes and their holders and decreasing wiring mess and noise. The head stage permits fast cyclic voltammetry and electrophysiology from the same 1-30 um diameter microelectrode almost simultaneously. With this addition real-time measurements of dopamine, noradrenaline, serotonin, pH shifts, H2O2, adenosine and oxygen concentrations can be made. Fast-scan controlled adsorption voltammetry (FSCAV), which has been described in a few recent publications, requires complicated and expensive hardware as well as its own software. 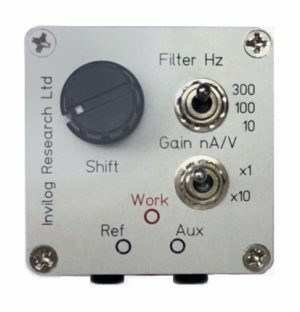 Invilog now provides an application which exploits this promising method and we are offering equipment which incorporates FSCAV as a novel component of its measurement possibilities – and at the price of our basic setup. With this new design, 2 nA/V sensitivity for dopamine or noradrenaline can be achieved without significant signal distortion even at 5KHz frequency. In terms of concentrations it means that at the Invilog carbon fiber 32 micron electrodes, we can now obtain as short as 1 ms in length, 10 nM peaks. 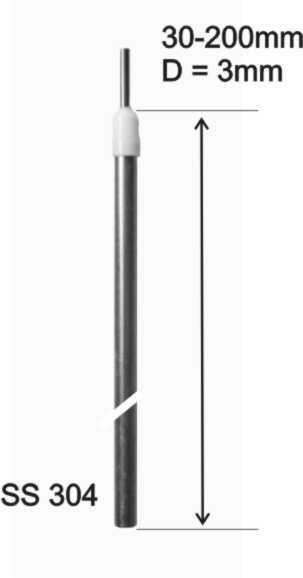 Unique constant force adjustable spring system balances attachment in any working position so that the pulling force via the cable or catheter is always the same. 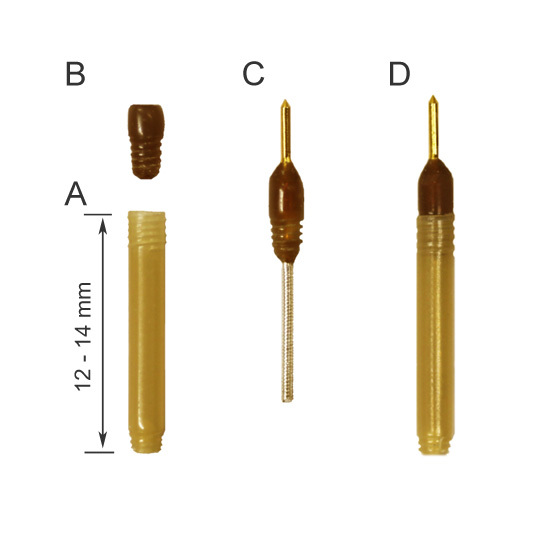 Ready for chronic implantation three types of LED based optostimulating electrodes designed for stimulation of the peripheral nerves in mice or rats. Manufactured with 470 nm (blue) superbright LEDs (30 mA max current), but can be customized in color, size and power. 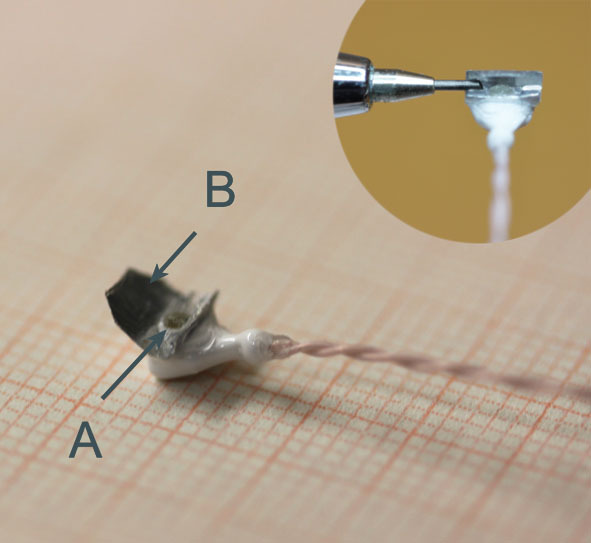 Reference electrodes change their properties after chronic implantation in the brain. 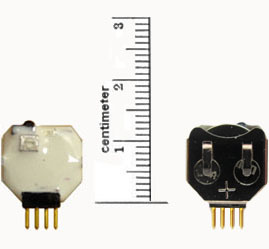 Invilog addresses the problem by offering chronically implanted electrode with always fresh replaceable Ag/AgCl element. Invilog has developed a probe with a bubble level which helps in verifying the frontal and sagittal plan of the skull are in the correct alignment and if not, then quick and easy adjustment can be done in a few seconds. The Wireless Electrical Stimulator works with the Invilog In Vivo Voltammetry Setup or any lab stimulator that provides 3-5 V output pulses. © 2017 Invilog Research Ltd. All Rights Reserved.